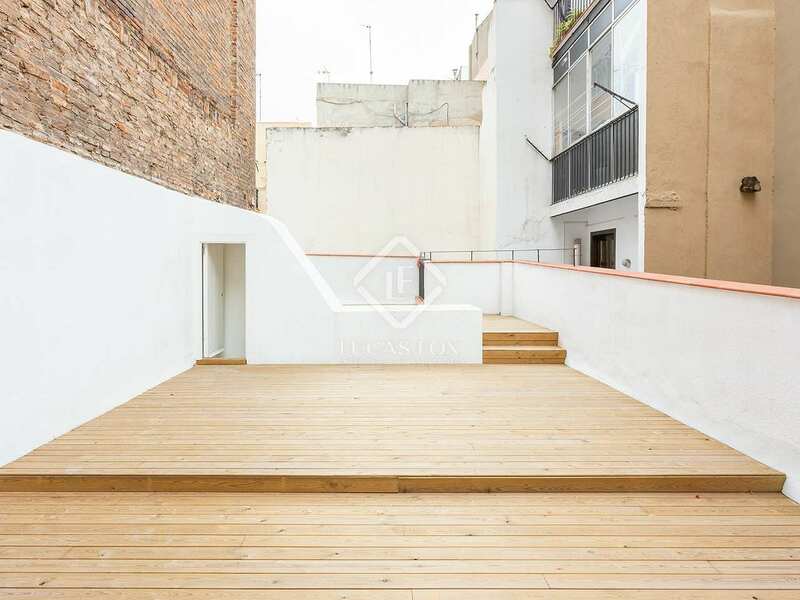 This property is part of the Argenters Apartments. Brand new 2 & 3 bedroom apartments with terraces and great natural light, for sale next to Passatge de les Manufactures in El Born, Barcelona. 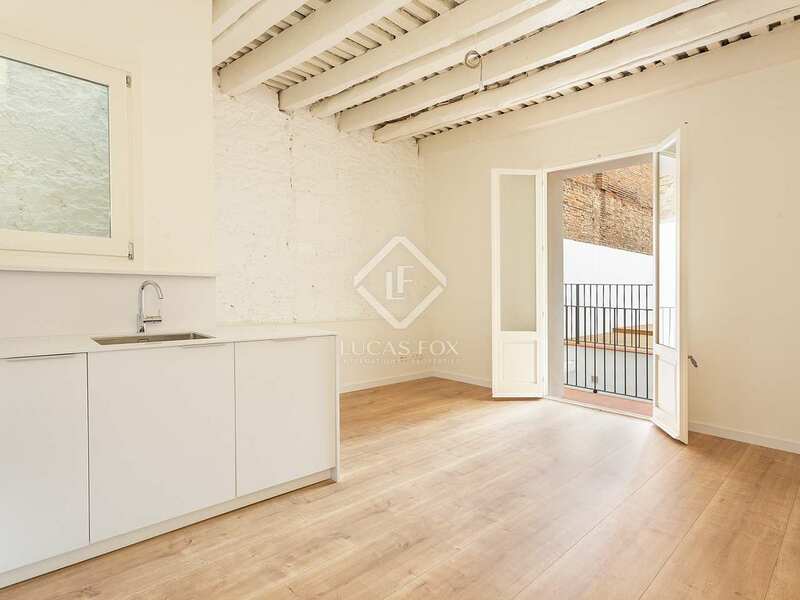 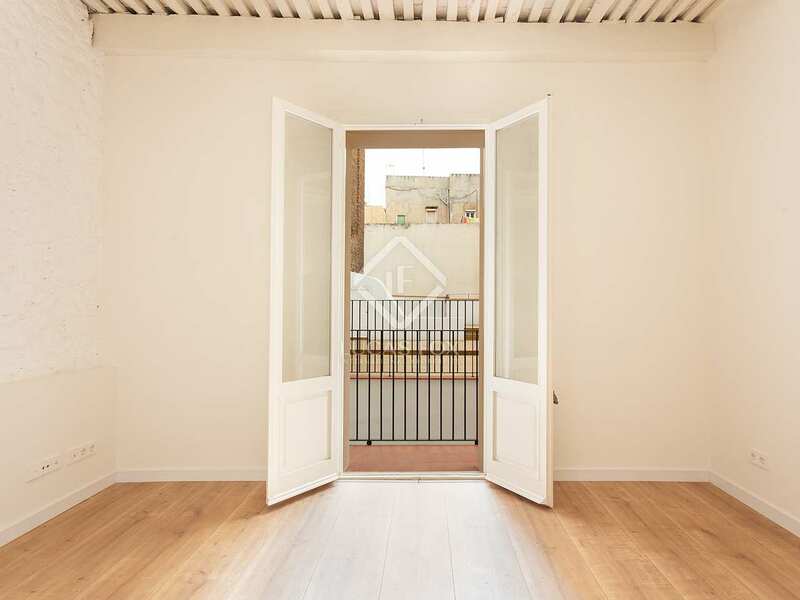 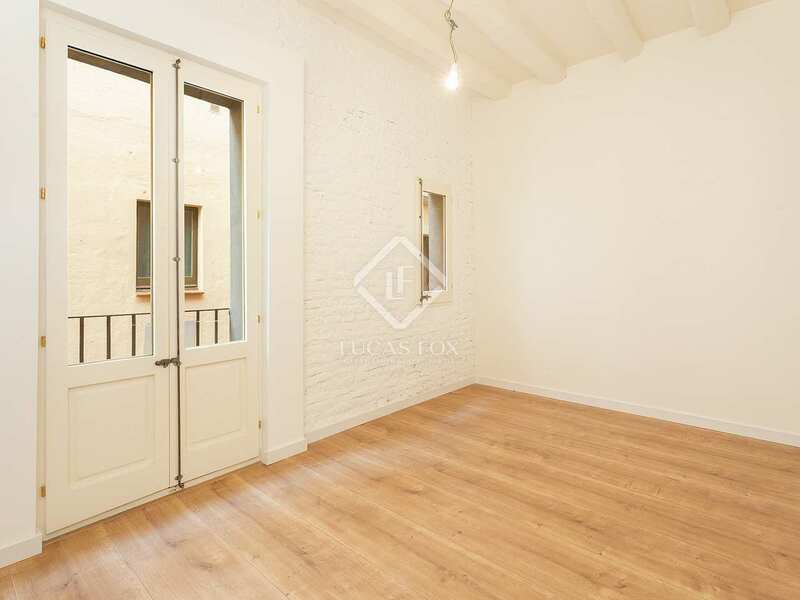 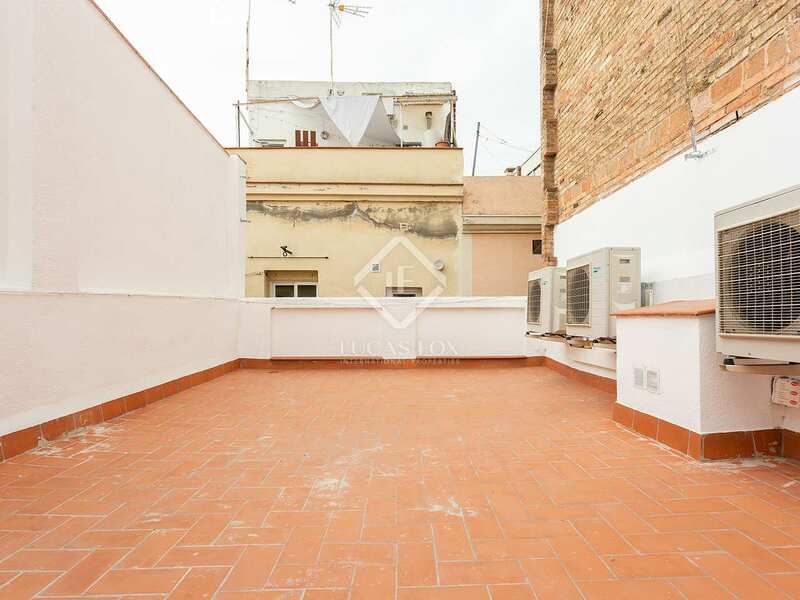 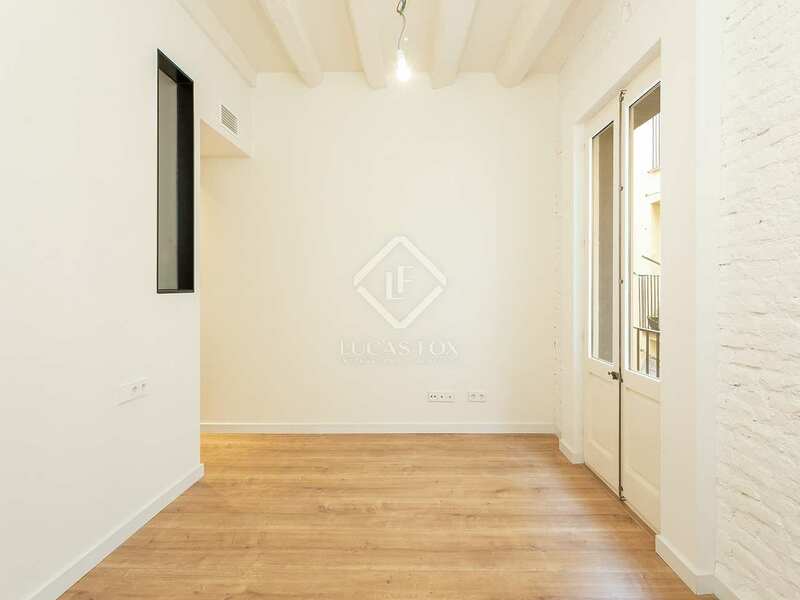 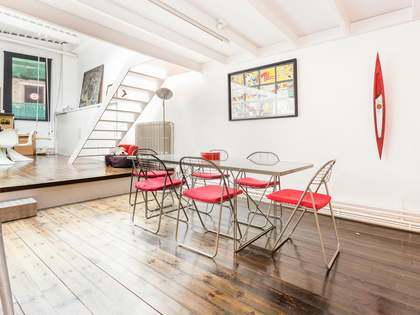 Charming 2-bedroom apartment with a large terrace for sale in the heart of El Born, Barcelona. 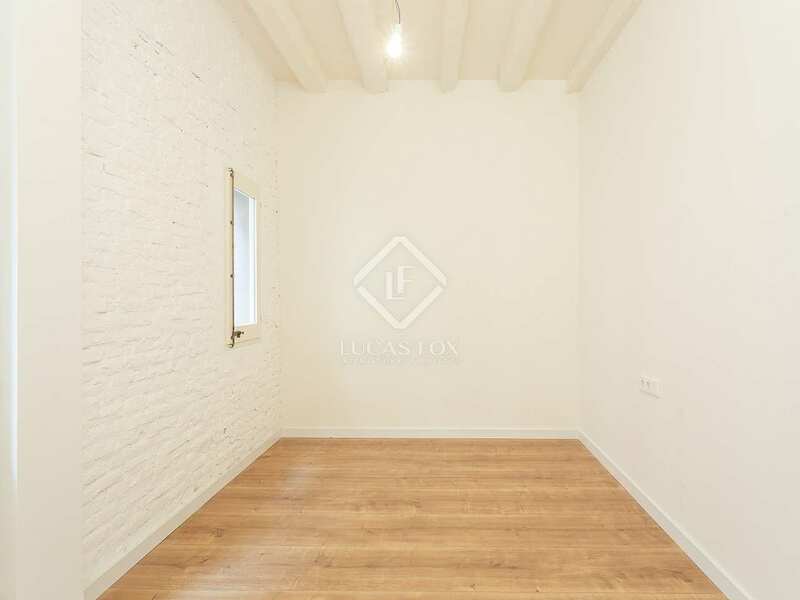 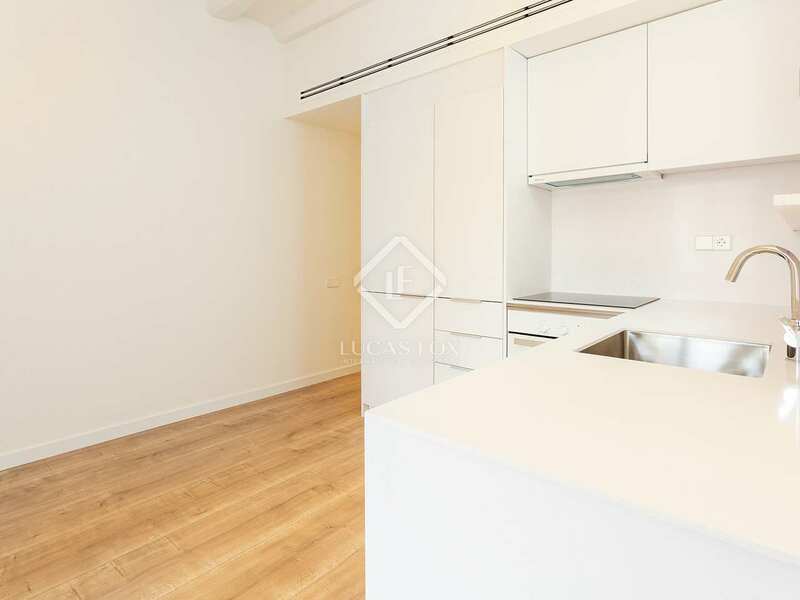 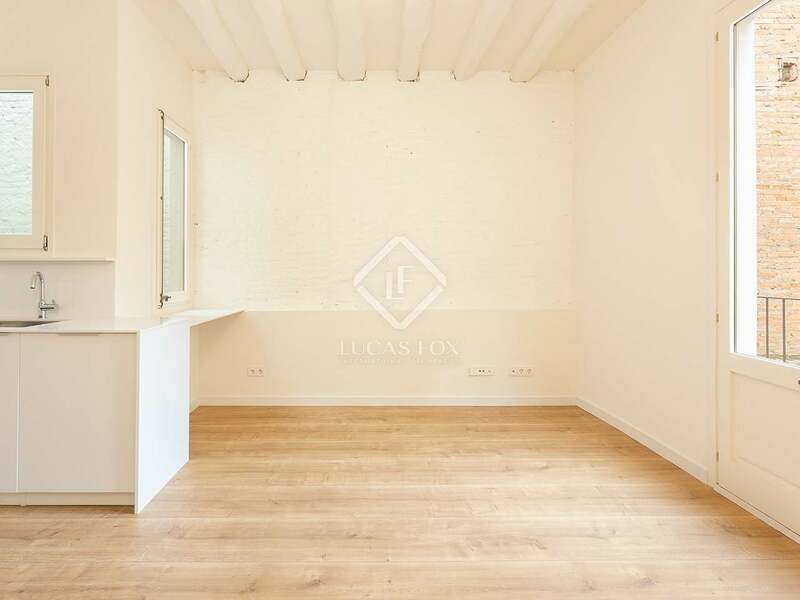 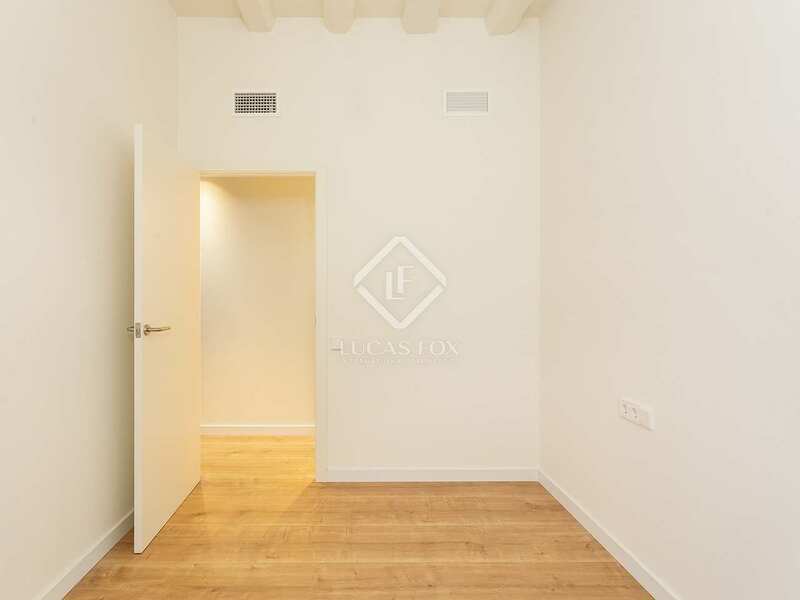 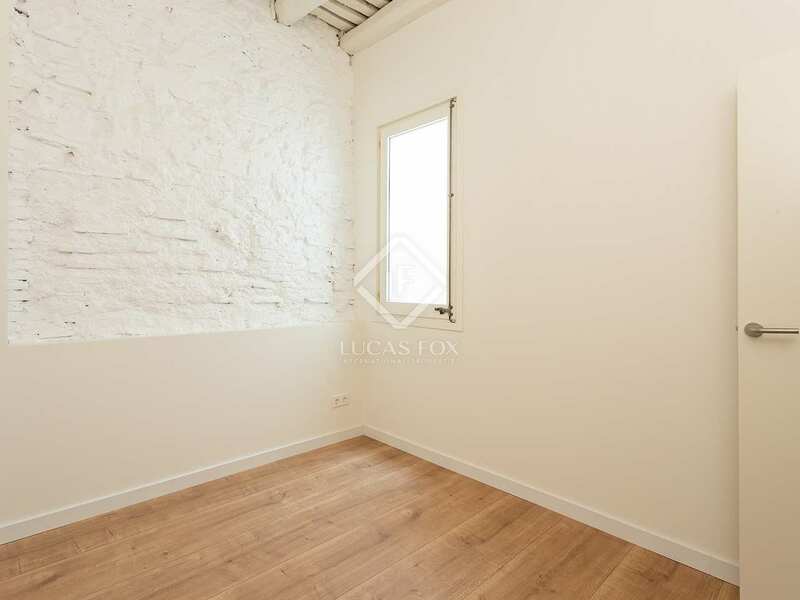 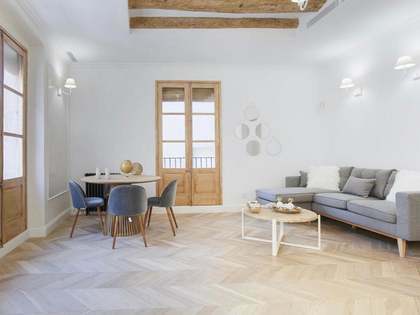 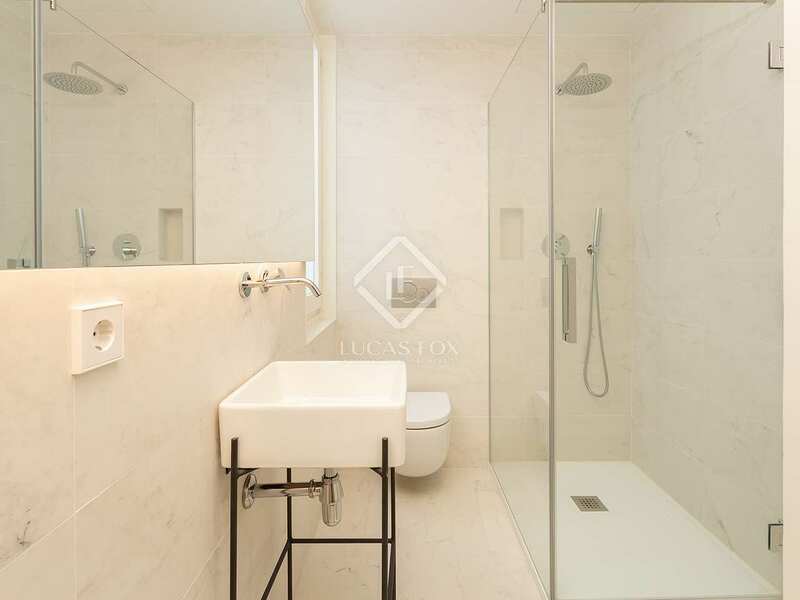 This beautifully renovated apartment is on the second floor of a brand-new development in El Born, Barcelona. 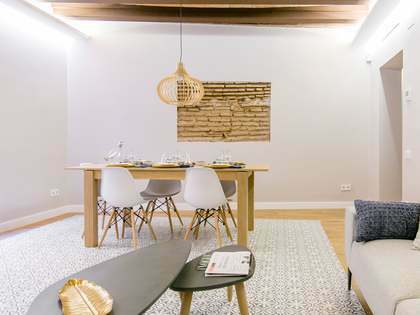 The building, with just 4 apartments, one per floor, is situated next to the recently renovated Passeig de les Manufactures with the famous Yurbann Passeig Hotel & Spa and Flax & Kale restaurant, a coveted area of Barcelona's old town. 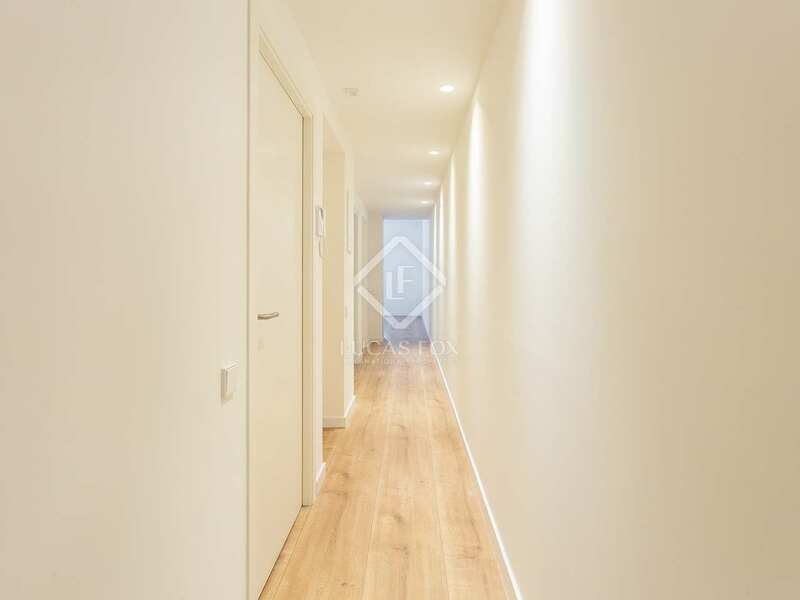 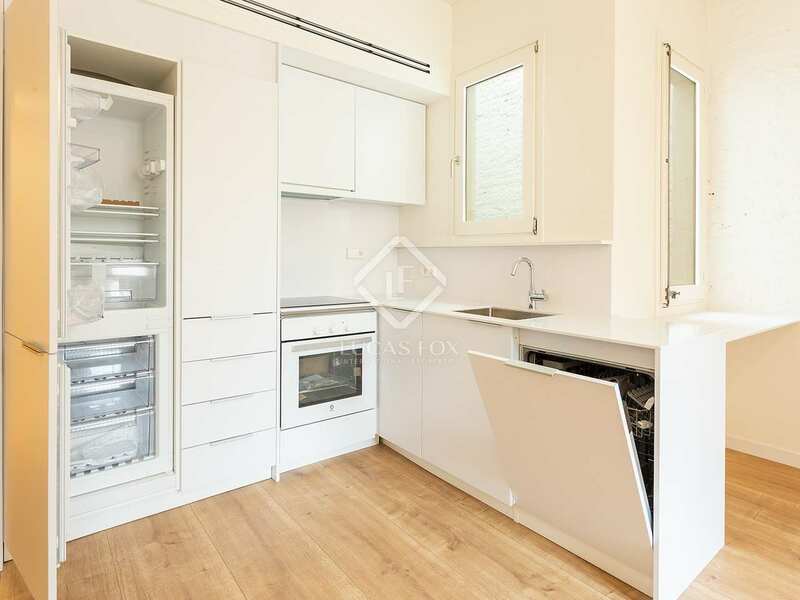 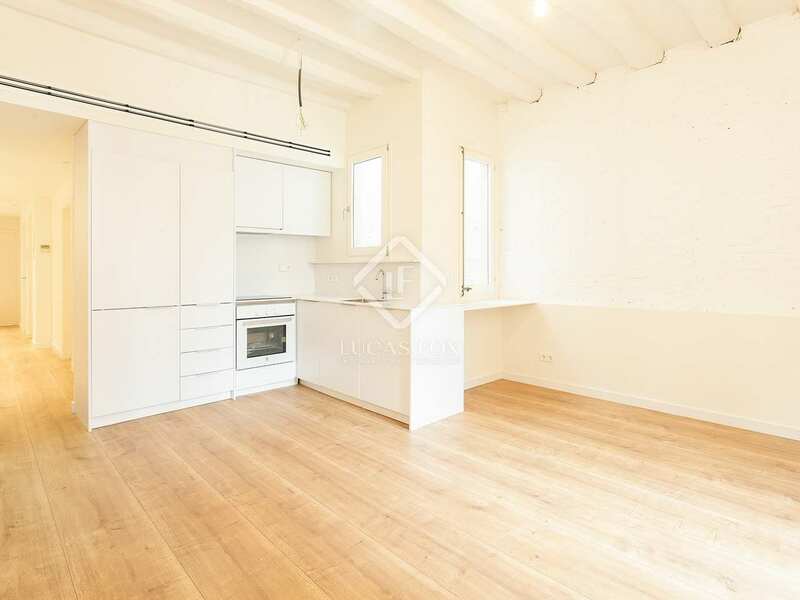 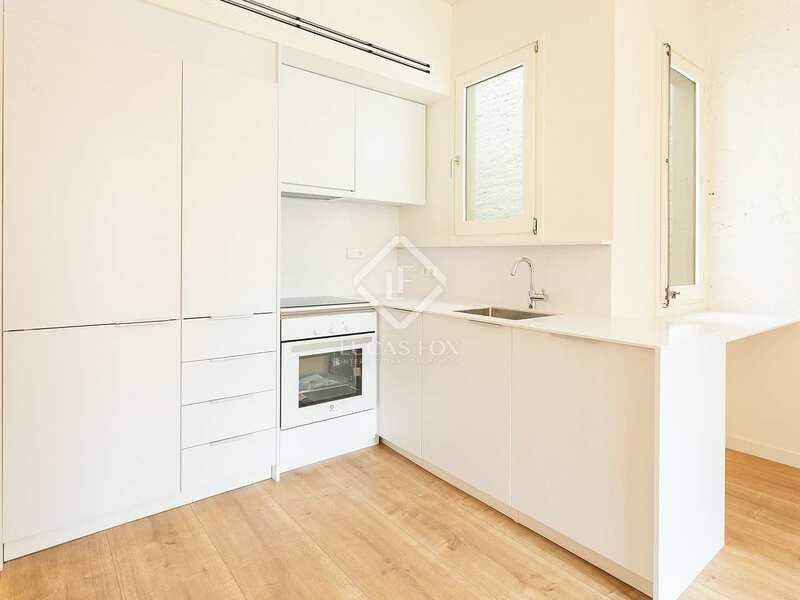 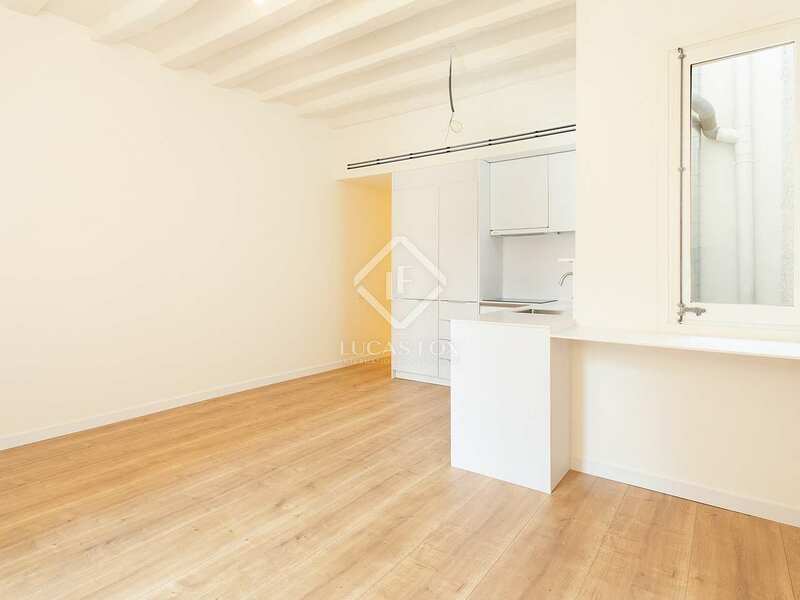 This spacious apartment has clearly defined day and night areas. 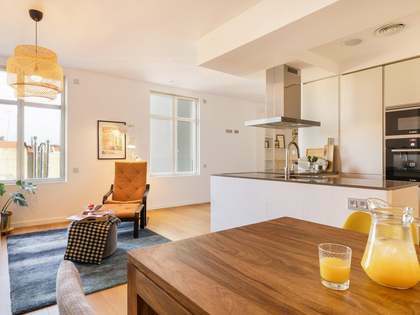 To the left is the living-dining area with open, equipped kitchen, a bathroom and the private lift. 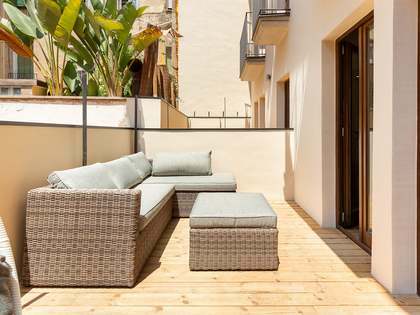 This living area opens out onto a balcony which leads to the fantastic 23m² terrace, private and peaceful it is the perfect space to enjoy time outdoors. 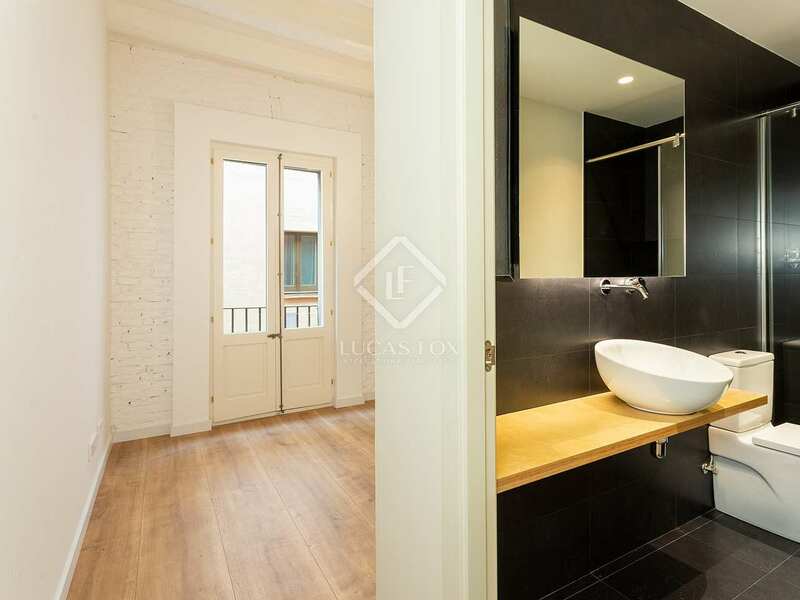 In the night area we find 2 double bedrooms and a complete bathroom. 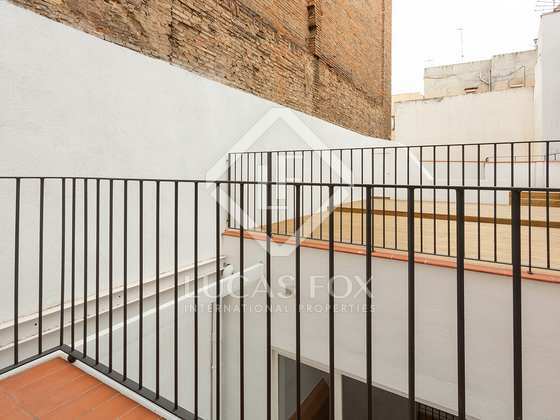 This charming city centre home boasts finishes of the finest quality and is equipped with heating and air conditioning for comfort throughout the year. 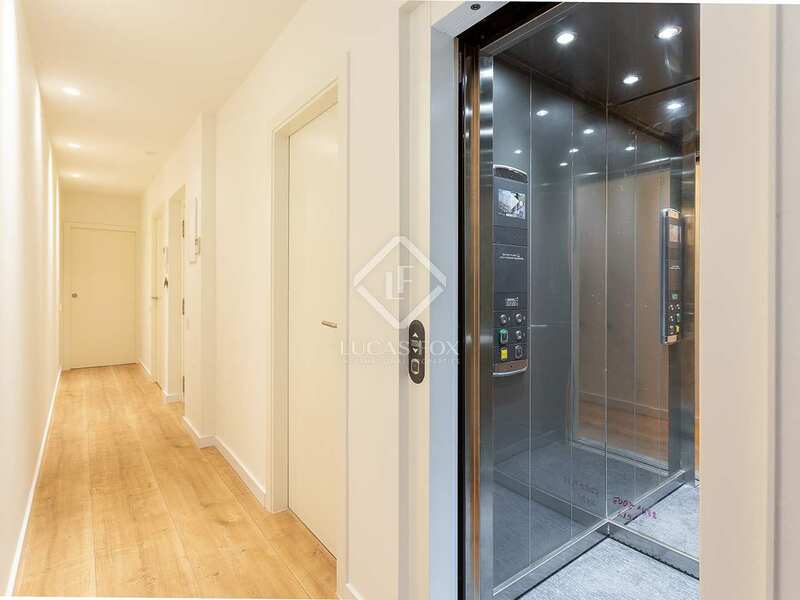 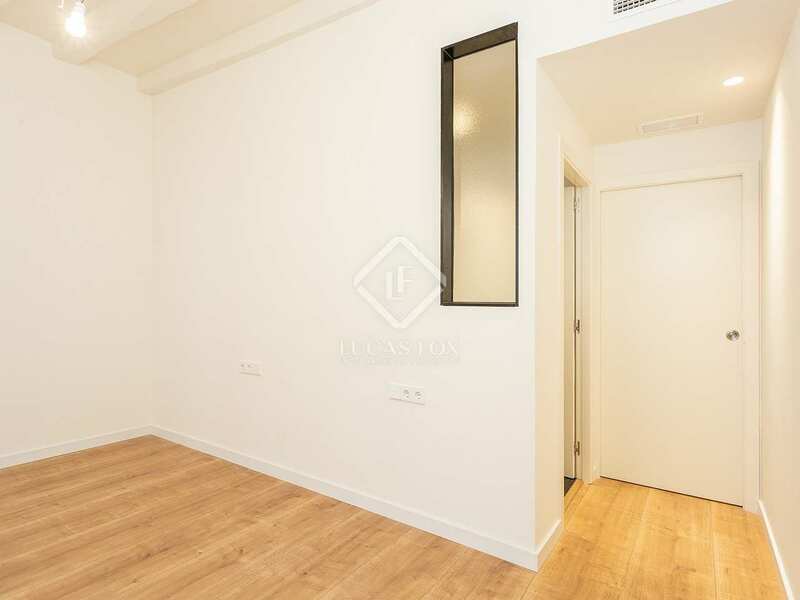 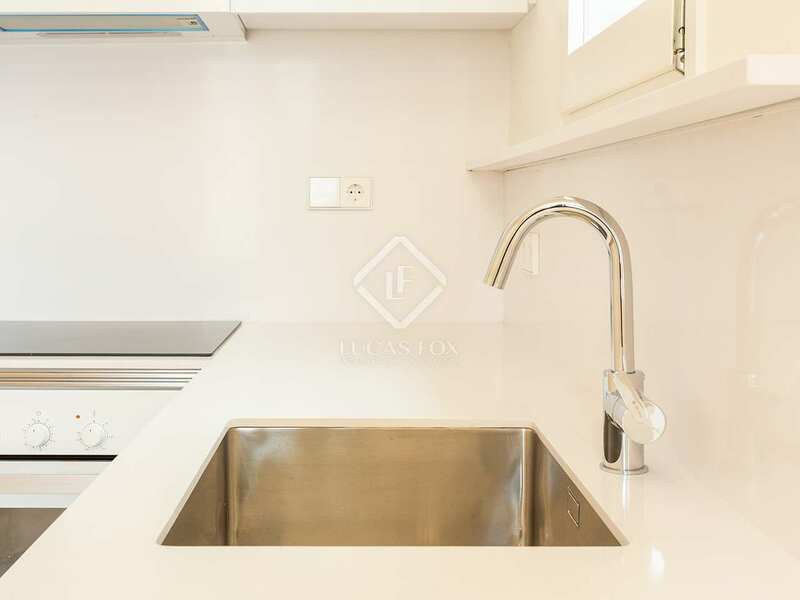 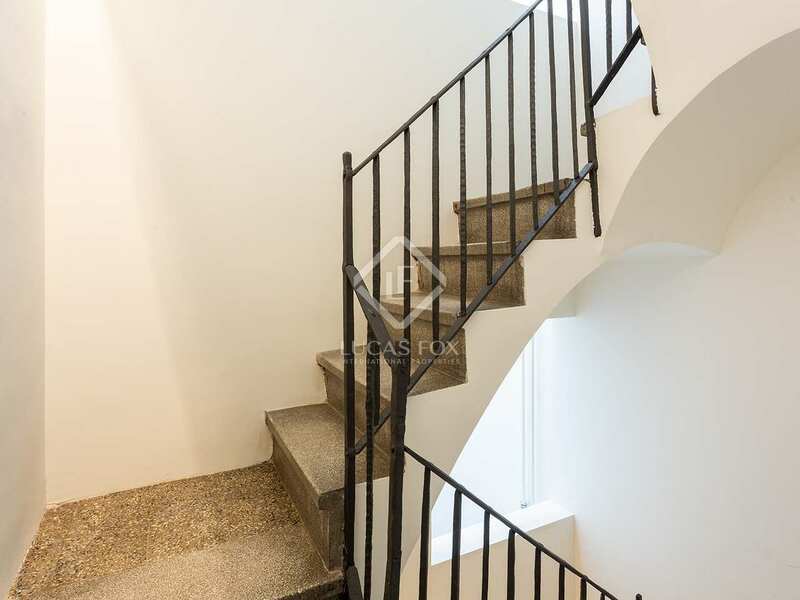 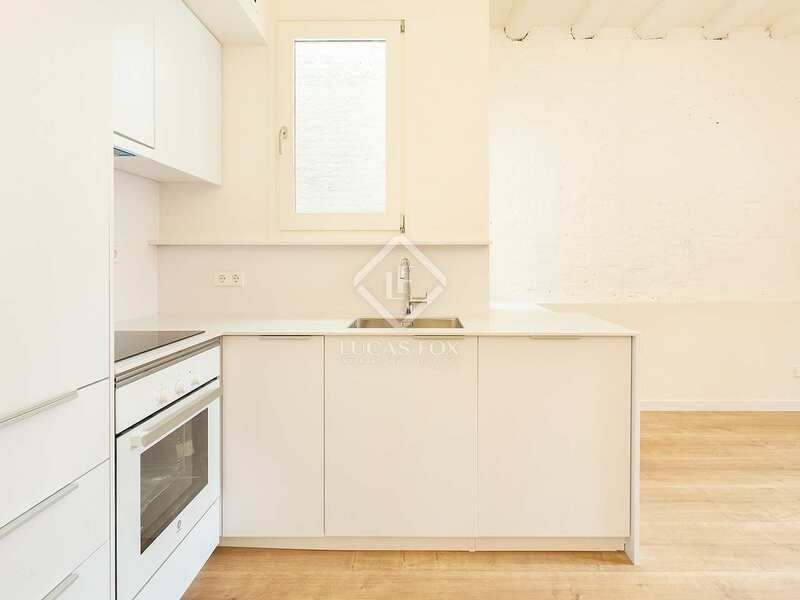 This excellent new development is located in El Born, a highly sought-after area of the old town thanks to its wide gastronomic and cultural offering. 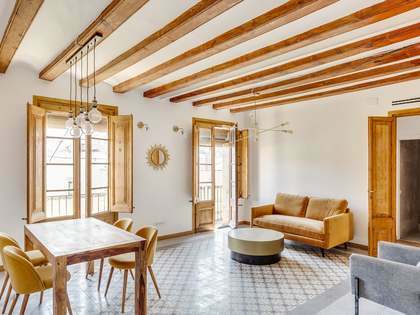 Steeped in history and culture, the newly renovated Passatge de les Manufactures is home to Yurbann Hotel & Spa and healthy resturant Flax & Kale Passage. 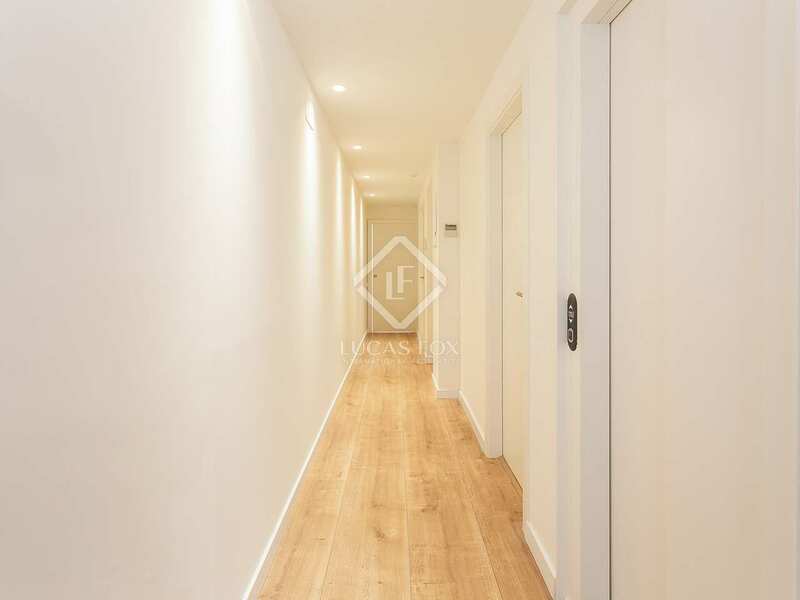 The rest of the city can easily be explored both on foot and by public transport and the beach is also within reach.